Fishing Pyramid Lake requires a Tribal Fishing Permit. The lake sits on the Pyramid Lake Paiute Indian Reservation. Permits can be purchased online or at one of various places around Reno and Sparks. It is $11.00 per day or you may purchase a seasonal permit for $88.00. There are also permits required for boating and camping. For a complete list of fees and regulations, to find a local license vendor, or to purchase a license online, go here. One of the most unique things about fishing at Pyramid Lake is the season. It offers locals, as well as those traveling, a place to go when most of our other fisheries are either closed or are in a slower time of year. This not only makes Pyramid very appealing but also offers anglers in the Reno-Tahoe area somewhere to go in the “off season”. 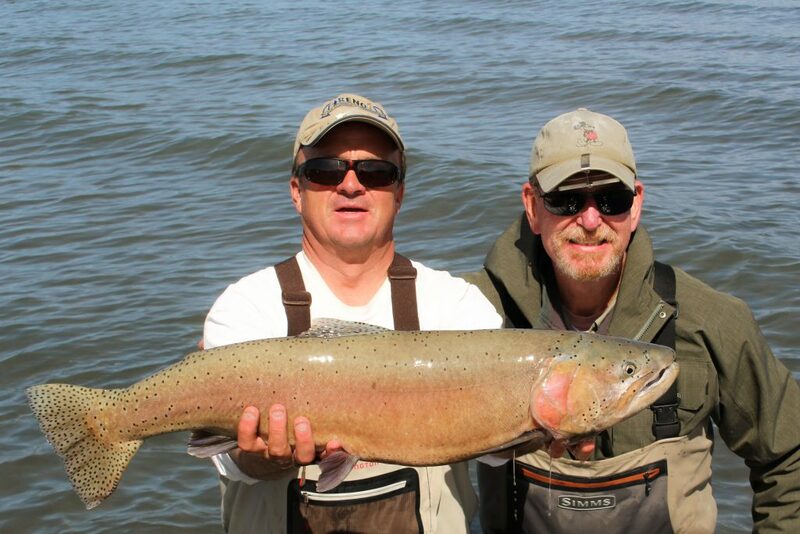 Fall – Fishing at Pyramid Lake can be very rewarding in the fall months. Schools of Tui Chub minnows and Perch frey can be seen roaming near shore around the lake. 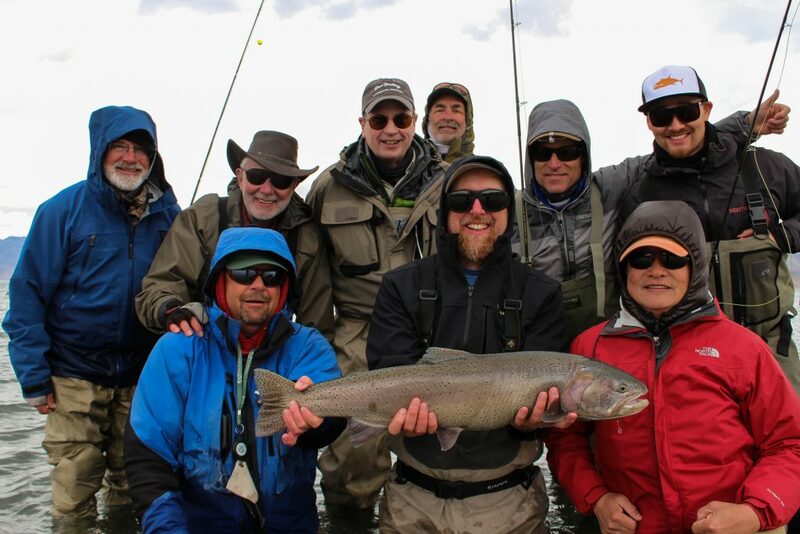 Lahontan Cutthroats take this opportunity to feed on their main food source to grow big and fat. Winter – As the air and water temperatures grow cold, schools of bait move out into deeper water and suspend in thermo clines where warmer water can be found. This drives a majority of the trout out into deeper water with them. Spring – When the days grow longer and the air and water start to warm, Lahontan Cutthroats move back into the shallow water around the lake in search of a place to spawn. This is when the highest concentration of fish can be found within casting distance from the shoreline.